Charlie Frank and me in front of their booth. What a wonderful Fancy Food Show it was! While not in my backyard again this Summer, the train trip to and fro D.C. on the Acela does go fast. The show was on a couple of levels and the architecture of that confounding convention center will remain a mystery but many goodies were to be found. Tasting Mazet (French) and Prestat (English) Chocolates made me feel like I was a world away. Both esteemed confectioners have ties to their respective royalty and are exquisitely packaged. Try the Mazet Lait Citron for a lemony, milky treat. Prestat offered a bar in honor of the Queen's Diamond Jubilee. Laced with almonds and sea salt with a billowy Union Jack on the royal wrap, it is majestic indeed. Of course, I am always on the lookout for nostalgic and good ole American candies and sweets. 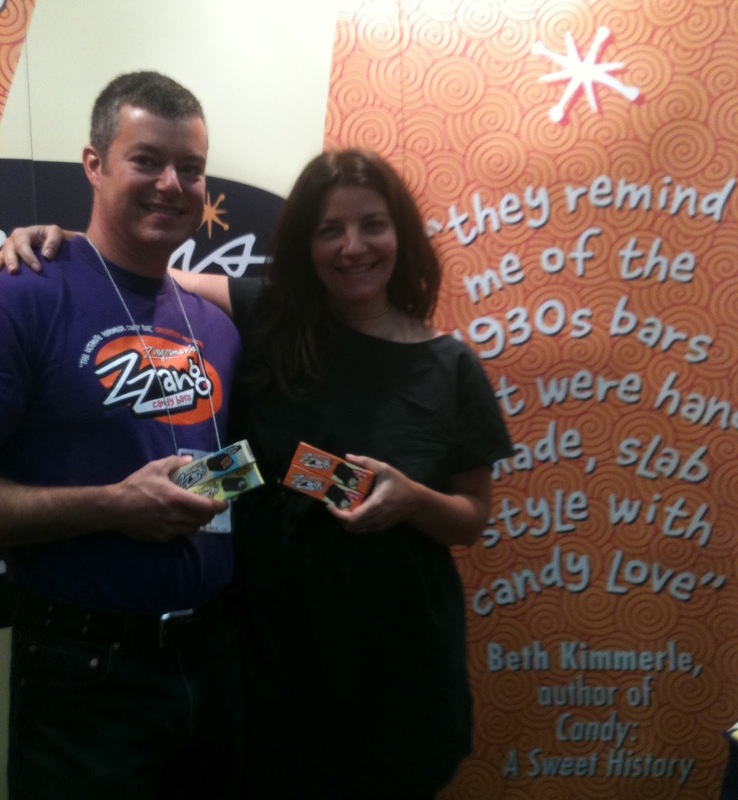 I had a wonderful surprise when I ran into Charlie Frank from Zingerman's and tasted again their line of classicly composed American chocolate bars. They are simply delicious with just the right amount of everything. Unlike those fussier Euro Bars I tasted these are not dainty, just delicious. Long live American candy.